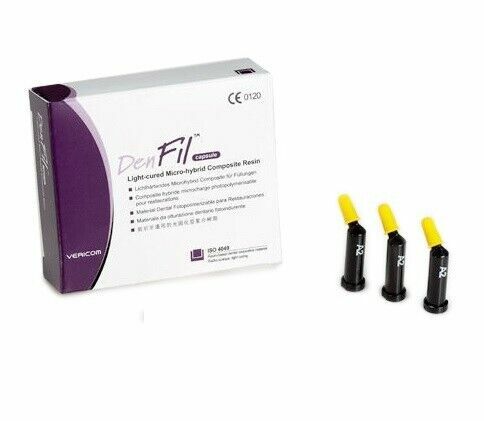 Denfil is a light-cured restorative micro hybrid composite resin for use in both Posterior and Anterior restorations. It is designed for minimizing polymerization shrinkage by inorganic fillers high loading, thus Denfil has excellent marginal sealing and surface texture. By adopting optimal polymerization initiator system, DenFil has high strength and abrasion resistance. As Denfil contains radio-opaque filler, any diagnosis using X-ray is convenient. Also it has optimal viscosity for restoration, Denfil shows excellent workability.